Apple cider vinegar is often touted as a cure all. But is this really the case? Or are these claims overstated? Actually, I think it all depends upon whom you ask. Some people report amazing results with a daily dose of apple cider vinegar. They say it relieves chronic pain and gives them more energy. Others don’t see any difference when they use apple cider vinegar as a medicine. I fall into that camp. Apple cider vinegar doesn’t seem to do anything good for me. I will use it in homemade salad dressing. But I don’t consider it worthy of my natural medicine cabinet. However, I’m not saying this natural remedy won’t help anyone else. The fact that other people think it’s amazing just goes to show that we’re all different. What works for one person may not work for another. I often see various ideas thrown around as “cures” for fibromyalgia. As someone who’s lived with chronic pain for more than a decade, I think these claims are overly optimistic, at best. Although I know it’s possible to manage your symptoms, so that pain no longer rules your day, I don’t know of any such “miracle cure” for fibromyalgia. What I’ve found is that some natural remedies work well for me. They offer temporary relief. Eventually, they stop working and I need to try something else. Does Apple Cider Vinegar Work for Fibromyalgia? That’s why I highly doubt a single remedy, such as apple cider vinegar, will lead to a cure. Especially in my case. My own symptoms were so severe I could barely walk. In order to heal, I had to search for the root causes of my condition, and eradicate them. This took years. It took many natural remedies and it took a total lifestyle overhaul. Saying that apple cider vinegar is a cure for fibromyalgia is something that sounds too good to be true. Because it is. It’s highly unlikely that a single remedy, such as this, will cure a case of longstanding chronic pain. Does Apple Cider Vinegar Help Fibromyalgia? Okay, now we’re on the same page. Apple cider vinegar may very well help some people with chronic pain. I’m not a doctor or a medical professional. But I’ve used natural remedies long enough to know that they work better for some people than for others. For instance, turmeric is highly regarded as a natural pain remedy. But it does nothing for me. (So it has about the same effect as apple cider vinegar.) However, this doesn’t mean someone else shouldn’t take turmeric. That’s because it might work for them. Among its many potential benefits, apple cider vinegar appears to lower cholesterol, lower blood pressure, help with weight loss and help your body with detoxification, according to Dr. Josh Axe, DC, one of the online natural health experts I follow. Apple cider vinegar is also supposed to be a good hair conditioner too. But I can’t recommend it. I used it once and it made my hair dry and brittle. Another example of how we’re all different. People in pain also suffer from chronic inflammation. So reducing inflammation is one of the keys to feeling better. 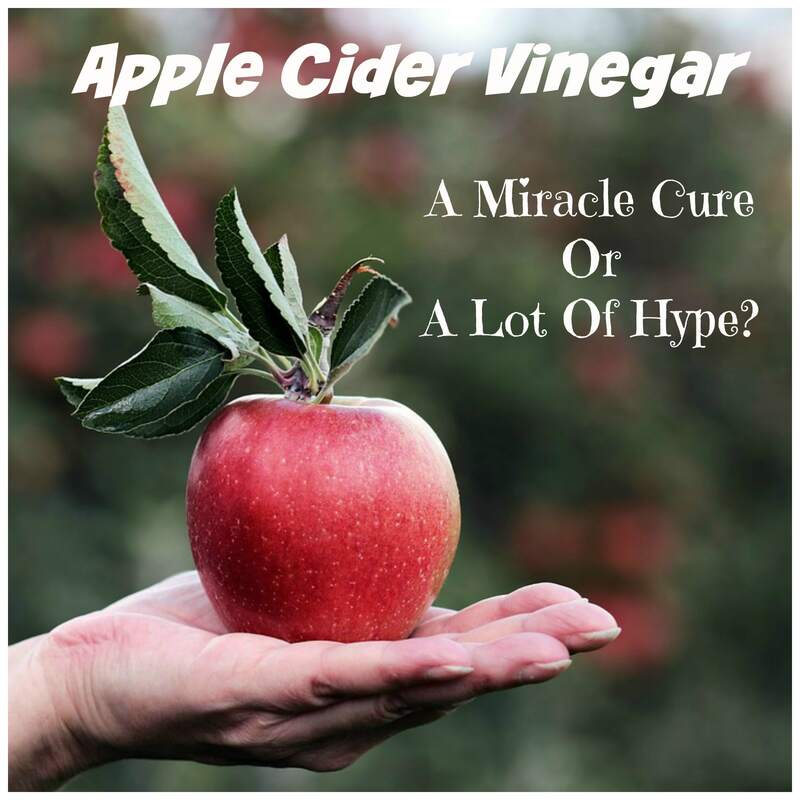 Whether apple cider vinegar can help you achieve that is something you probably have to try for yourself. I know others have reported good results. Buy organic apple cider vinegar that contains “the mother.” This is the cloudy stuff that floats around, which contains health-promoting enzymes. Don’t drink it without watering it down. That’s because apple cider vinegar is hard on the tooth enamel. So drink it with water to protect your teeth. I hope you get lucky and see great results with apple cider vinegar. In my own healing, I had to use a wide range of natural remedies and healing methods. (Throw everything at it and see what sticks.) My body needed multiple healing methods. You can read about everything I did in my easy-to-follow video course. It’s designed to inspire others to find their own unique healing path. Click on the image below for more information. ← Can You Ever Recover From Fibromyalgia? I have suffered with FM for over 25 years and i believe it is getting worse. The worst of my symptoms is getting good sleep without waking at 3am with pain throughout my body. It is a nerve like pain especially in my feet and legs and even my hands..like pins and needles but more painful. The pain can be terrible. The only thing that helped me was a total lifestyle change, including diet changes. Lots of natural remedies too. Prayer as well. I hope you find something that helps you feel better.